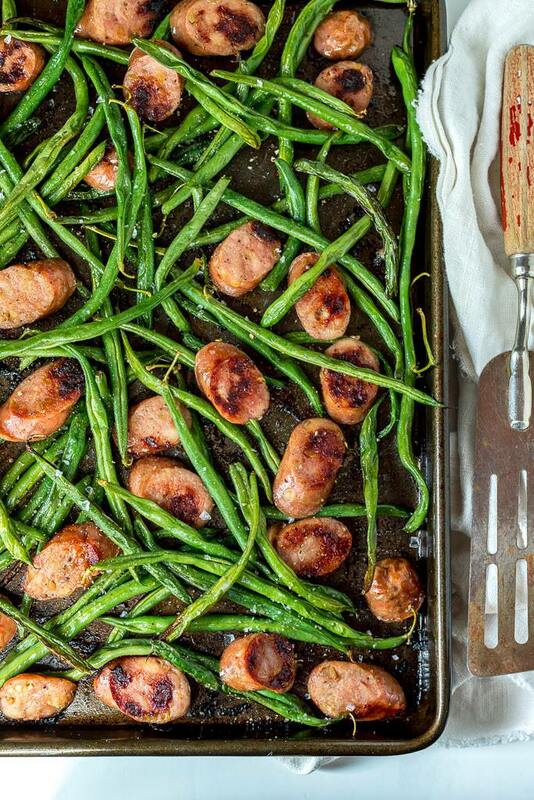 This Sheet Pan Green Beans and Sausage Dinner is perfect for those buy weeknights. Just toss the fresh green beans and chicken sausage together and bake for 20 minutes or less. Easy-Peasy. This gluten free, dairy free low carb dinner will even get the kids to eat those green veggies. 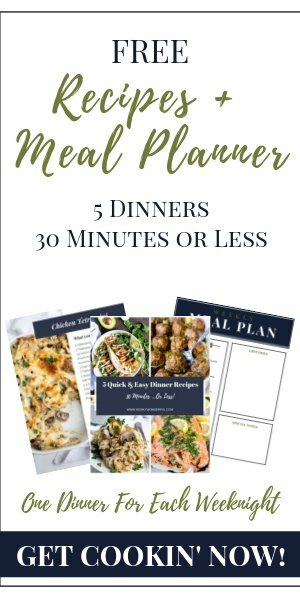 Need an Easy Weeknight Dinner in 30 Minutes or Less? Just keep your favorite sausage (I use Aidells Chicken Sausage) and a bag of fresh green beans in your refrigerator. Then just pop ’em in the oven and bingo-bango…dinner is served! You can add extra veggies if you want to. Mushrooms, broccoli, zucchini or tomatoes would all be great. I personally like this super simple combo of sausage and green beans. Serve with rice or bread for those not following a gluten free, grain free diet. I keep bread sticks or dinner rolls on hand for my daughter. She gobbles this up without any complaints. She loves a good Veggie and Sausage Dinner! Can you add more flavors and ingredients? Sure thing! Add extra veggies if you want to. Mushrooms, broccoli, zucchini or tomatoes would all be great. And add your favorite spice blend when tossing green beans in oil. What should you serve this with? I like to eat it as is. But, I serve this to my daughter with rice or bread. What tools do you need for this Sheet Pan Sausage Recipe? You will need a Sharp Knife, Good Cutting Board and a Rimmed Baking Sheet . 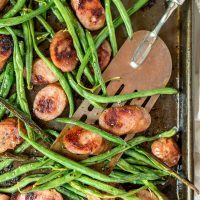 This Sheet Pan Green Beans Sausage Dinner is perfect for those buy weeknights. 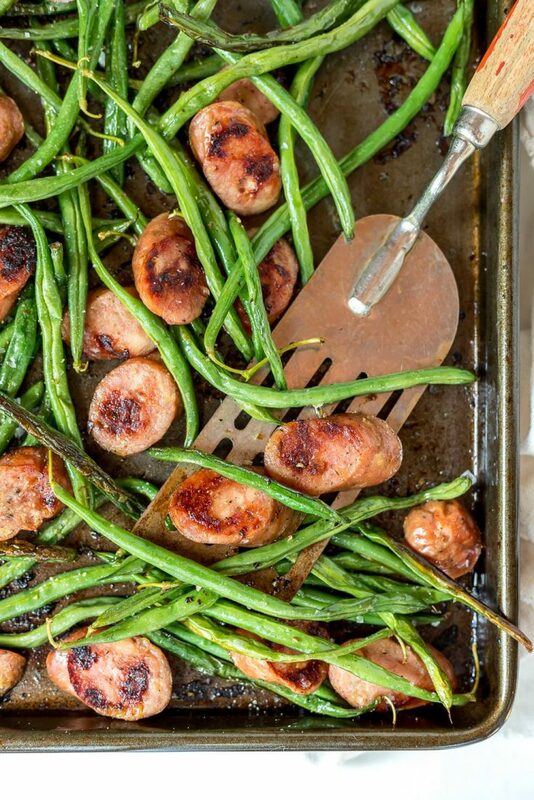 Just toss the fresh green beans and chicken sausage together and bake for 20 minutes or less. Easy-Peasy. This gluten free and dairy free dinner will even get the kids to eat those green veggies. Toss green beans with oil then transfer to a greased, large rimmed baking sheet. Add sausage, Arrange green beans and sausage into an even layer. Bake for 10 minutes. 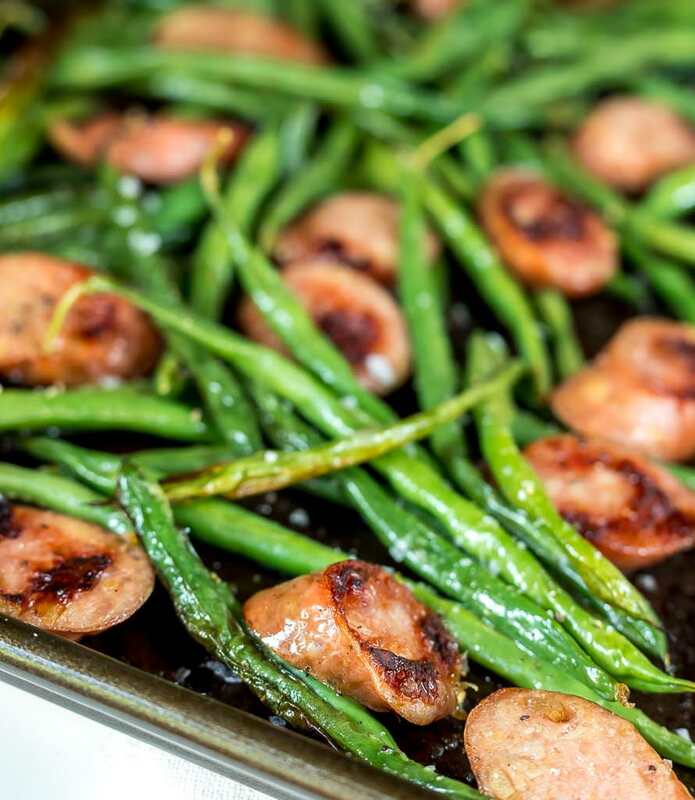 Toss green beans and flip sausage slices. Bake for 5-10 more minutes or until beans and sausage are browned. This post contains affiliate links. Basically, I get a little kick back for sending you over to purchase. . . at no extra cost to you. Thanks for your support!